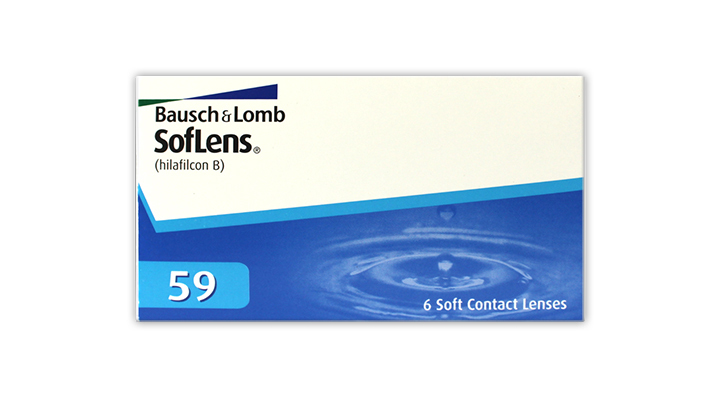 Mid Water content soft lens from Bausch & Lomb. Clear vision, deposit resistance, and easy handling are additional benefits. Have you considered trying Crystal Monthly instead of Soflens 59 lenses? They are a great alternative, very comfortable, and only £27 for a YEARS supply! Was given these by a contact lens optician ages ago and bought some further pairs from this website as they are better value and very conveniently delivered fast to your own home. First monthlys and probably the only monthlys i`ll ever try! I love them. They`re really comfortable and i`ve never had a problem with them like I have with my dailies! First time try this lenses and so far so good. Ive used this brand for over ayear now and alwys gav it the benefit of the doubt but ive had enough now they are really bad, dry up too quikly and are very irratant.gave me constant eye infection. i really need to find another suitable brand. i would not recommend these at all. I had placed order for Crystal Monthly and Soflens 59. I had no trouble with Crystal Monthly but when I used Soflens 59 I realised that the whole 6 month supply of lens was bad quality. It gave me terrible headaches everytime I wore it. Firstly all of the Soflens that I tried gave me blurry vision and I had to strain the whole time and kept on constantly rubbing my eyes to get correct vision and after all this in 4hrs time my eyes were red and burning. Will never buy this product. Best I Ever Used !!! Soflens 59 is TOP Quality !!! I have tried many different contact lenses and all of them was really poor quality. For example: Acuvue is comfortable to wear for 4 hours - then they go so dry that you have take them out or use some drops, they also split after 2 weeks of use due to being so thin. The new Biofinity is also so thin that it dries after few hours. Bausch & Lomb Contact Lenses are thicker than others but if you use them constantly you will get use to them and you will find out that they are much more comfortable than any "advanced" thin lenses. Soflens 59 does not dry out even after 10 hours of constant wearing but you have to use quality cleaner like Opti Free which is expensive but it keeps the lenses wet so they do not harm your eye after 4 hours. I also tried Rossman brand contact lenses as well and I found out that they were the worst due becoming uncomfortable just after 2 hours. I really love those Soflens 59 and I will stick to them probably for ever or until they change quality for worse.